In the capable hands of the All-Stars, Field Recordings taps into film, found sound and obscure audio-visual archives, bridging the gap between the seen and the unseen, the present and the absent, the past and the future. 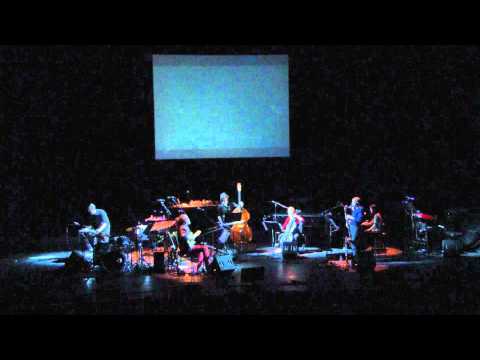 Concert performances have featured radical new video projections, several of which appear on the bonus DVD, while the 12-track CD consists of commissioned music by some of the most inquisitive and unconventional composers in any genre, from indie art-rock. To me, the whole idea of field recordings was dealing with memories, and bringing things that were recorded from the outside world into the concert hall. I started thinking about some of the recorded things from my memories, and I remember I worked on a project many many years ago, right as I was starting out as a composer. I made a background track of people sharpening knives and sharpening scissors. I remember loving that track, but what I remember in particular is that the show was terrible and one of the worst experiences of my professional life. I still feel bad about it. So I though it would be interesting to bring that memory and that soundtrack into this project.